All of the landlords whose properties were managed by Property Management Out West Ltd (Property Management) are likely to be owed money, according to the first report from the company's liquidators. Property Management and a related company, Real Estate Out West Ltd (Real Estate), which operated as a Ray White real estate franchise in the west Auckland suburb of Henderson, were both put into voluntary liquidation last week. The sole director and shareholder of both companies was David Dayanand Sharma, a real estate agent who is being investigated by the Real Estate Authority. 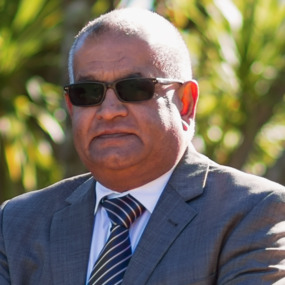 The first reports by the liquidator of both companies, Derek Ah Sam of Rodgers Reidy, said the director (Sharma) did not provide any reason for the companies' insolvencies other than he wanted to have them wound up due to ill health. The report for Property Management also said Sharma indicated that the company had minimal creditors and that all landlords it was managing properties for had been fully paid. But that does not appear to be the case. "The liquidators are now aware that all active landlords have rents outstanding for January 2018 and February 2018 and that a number also have additional historic payments due to them," the liquidators' report said. The reports list more than 100 creditors of the company. However the chances of those creditors recovering the money they are owed seem slim. The report says the company does not own any assets and shared its premises with Real Estate Out West, which operated as a Ray White franchise. However the Ray White franchise was not renewed when it came to an end on January 31, 2018 and both companies were subsequently put into liquidation. Just like any business, take the ups with the downs. And if you can't stomach the loss of 2 months' rent, you probably shouldn't be in the game. Huh? How does future capital gains for the owner somehow "offset" criminal activity from an industry professional? Your comment makes as much sense as those who think some landlords losing their shirt because of meth are "fair game" because the market went up recently. All monies from rents need to go into the Real Estate company’s trust accounts. If they haven’t then it is clearly fraud and the fraudster will be sued or have to cough up out of his own assets. Hard to beleive that Sharma wouldn’t have assets sufficient to pay the landlords as the rent monies must have gone somewhere??? It is not "clearly fraud" at all. For their to be "fraud", that has to be proven in a court of law. The guy is bankrupt. Nobody will be receiving rent money in the immediate future. Quite possibly never at all. Rubbish, if the rent monies hasn’t gone into trust accounts rather than an operating account, it is FRAUD! He will be personally liable for it and I am sure he would,have assets sufficient to pay out some where. no trust accounts in the PM industry. This is why there are calls for regulation. maybe to pay the costs of his real estate business, leased modern look at me cars, wages of RE staff siting around not selling anything.